On Wednesday 16th December 2009, during peak summer on a day of high fire danger, a VicForest logging operation started a fire near Cann River in East Gippsland, which got out of control (again) and this time burnt over 7000 hectares [3/4 the size of Phillip Island]. The story goes that logging machinery was responsible while carrying out ‘thinning’ operations. The burn got out of control and threatened the town of Cann River (pop.230). The temperatures at the time stretched into the 30s. The fire has since destroyed over 7000 hectares of East Gippsland forest habitat (which firies demonise as ‘fuel’). The firefighting response involved over 150 firefighters and over 40km of bulldozed control lines. It took over a week to control. But the fire was not extinguished and blew up into a bushfire again on a day of TOTAL FIRE BAN on 12th January 2010. The same fire “jumped containment lines” grew in size and threatened the town of Cann River and the hamlet of Tonghi Creek (5km east along the Princes Highway) plus numerous holidaying campers in the area. The new blaze was an outbreak from the larger fire that started at Cann River about a month prior. The DSE standard excuse is that the fire was “burning in dense, inaccessible forest” and standard firie practice is “to let it burn itself out.” Of course this assumes the wind won’t pick up and rain will do the firies job for them. At the same time the DSE will contradict itself saying “it’s the sort of country that burns very, very quickly and with the (wind) change heading towards it, that can be unpredictable fire behaviour that we have to deal with.’’ So clearly, the DSE policy of letting a remote fire burn itself out is recklessly irresponsible. Time and again such negligence leads to flare ups. Low and behold the wind did pick up, the fire jumped containment lines and spot-fires stared forming 200 metres ahead of the fire front. The bushfire grew “rapidly from 5 hectares to about 60 hectares” and with wind changes stoking it got “out of control.” Multiple roads including the Princes and Monaro Highways were closed. So the firie reaction ramped up again – “two dozen fire trucks had joined three water bombers, three helicopters and a heavy-duty helicopter from Melbourne in fighting the fire. Eight CFA strike teams and six aircraft had been dispatched to the fire and DSE fire crews were in there too.” Over 170 DSE tankers fought the blaze. As to the Total Fire Cost, including forest loss, economic losses including the consequential transport costs of closing Highway 1, and businesses in Cann River being forced to close. As usual will not be measured. VicForests won’t accept responsibility, let alone compensate. Even if it was it would remain a state secret since it would show up the failings of Victorian fragmented firefighting. Then they have the cheek to demand residents have a bushfire survival plan. Residents need to be vigilant against forest arsonists operating in the area and then mindful that the emergency response will be half-hearted, so they better be super ready to evacuate if there is fire anywhere within 50km. What investigation? The DSE with the Victorian Police conducted an investigation but no information has been published. So, unsupervised, VicForests is causing 2nd degree bush arson and getting away with it. VicForests is not only a reckless environmental vandal; it is a State-sanction arsonist. Will the logging contractor or VicForests have to pay for the firefighting efforts and costs? 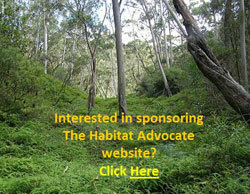 Will VicForests pay compensation for the loss of tourism to the area during these weeks? It is time the Victorians community demanded Brumby hold his three stooges VicForests, DSE and CFA criminally and financially accountable for all prescribed burns and abandoned bushfires. Fuel reduction is a firie myth. It encourages dense regeneration of highly flammable vegetation which only exacerbates future fuel loads. It’s like mowing grass. Once you start, you have to mow for life. Bushphobia is a defeatist response to under-resourced firies throwing their hands in the air and saying we can’t cope, so burn it before it burns. Prescribed burning and uncontrolled bushfires have become the greatest cause of native flora and faunal extinctions and possibly the greatest contributor to greenhouse gas emissions across the state. The buck stops with Victorian Premier John Brumby. Brumby needs to hold VicForests accountable for the consequences of prescribed burning getting out of control. Brumby needs to recognise the grossly inadequate capacity of DSE and CFA to detect, respond to and suppress bushfires especially remote ones in difficult terrain and that at times the CFA now deems of ‘catastrophic’ risk the CFA considers itself almost a useless force. Brumby needs to recognise that bushfire management requires respecting Victoria’s forests as rare and vital natural assets, not as fuel to be burnt before it burns. Brumby needs to legislate to prevent further housing approvals in bushfire flame zones and to introduce building standards that enable dwellings to be defendable in bushfire emergencies. In early and mid-November 2009, prescribed burns by VicForests in East Gippsland escaped including one 2km west of Mallacoota and another left to burn months before (from still-burning underground peat from an autumn burn) around the Conran area. When contained, the fires had burnt out several thousand hectares. “On 1 December 2006, over 70 fires were caused by lightning strikes in the Victorian Alps, many of which eventually merged to become the Great Divide Fire Complex, which burned from December 2006 to February 2007 (69 days) across approximately 1 million hectares. Fifty-one houses were ultimately lost in the fires. One man died in a vehicle accident while assisting a property owner to prepare for fire impact. Reported lightning strikes across north and east Gippsland and over the Great Dividing Range into NSW in early January 2003 were allowed to burn to 7th March (two months) and wiped out over 1.12 million hectares of parks and forests (this figure includes the large number of lightning-caused fires that were contained in the first weeks of January) and destroying around 75,000 hectares of farmland, 41 houses, 200 other buildings. On 31 January 1983 (Ash Wednesday), a fire starting at Cann River eventually burnt out 120,000ha to the north and west of the river. It wasn’t brought under control until 12th February. Then on 4th March, a second fire started, escaping from the first fire, and burnt a further 140,000 ha, and threatened the town of Mallacoota. It wasn’t controlled until 12th March. So a quarter of a million hectares [or 2600km2] of forest burnt. Port Phillip Bay is 1930 km2, to give a sense of scale. 3. EMA Disasters Database – Country Fire Authority Victoria, Publication/Report – Fires of the Past by Andrea Carson. This entry was posted on Wednesday, January 13th, 2010	and is filed under Gippsland (AU), Threats from Bushfire.